The fabrics were a retirement gift from my friends at Lockheed-Martin. The blocks were stitched by my friends in Lakeview Quilters Guild Friendship Bee. Machine pieced by Jerrianne. Machine quilted by Jo Lynn O'Neil of Lone Camp Quilting. 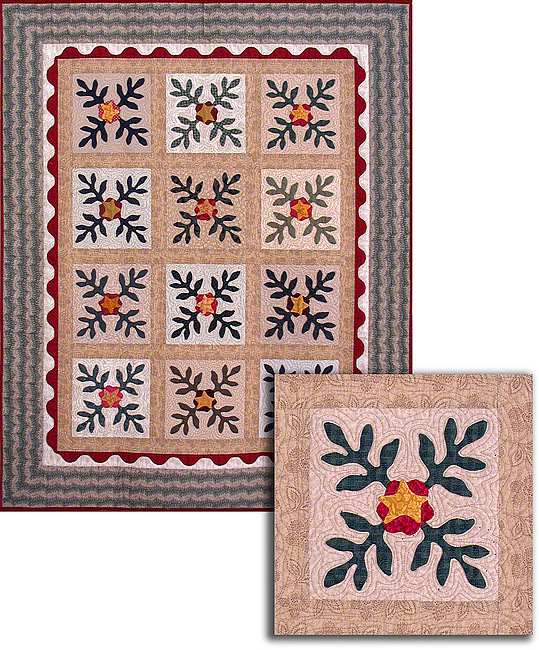 Adapted from “Fern Rose” in Nuts and Berries by Barb Adams & Alma Allen. Started in May 2001 and Finished in February 2002.